Mayday Parade Announces New Album + Tour With All Time Low! 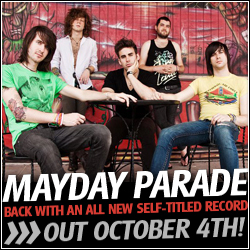 Mayday Parade is gearing up for the release of their third full-length album, the eponymous Mayday Parade, which will hit stores on October 4, 2011. In anticipation of the release, the band will embark on a North American tour with All Time Low at the end of July. Make sure you keep up to date with Mayday Parade by checking them out on Facebook. You can find their full tour schedule there, as well as updates from the band! Paper + Plastick Records is excited to announce the release of Reverse the Curse’s full-length debut Hither & Yon. Available on July 12, 2011, the label is giving fans a chance to get a sneak peak at the album by offering a FREE download of two new songs, “Bell, Book & Candle” and “To Dig A Hole.” Download the EP here: http://store.paperandplastick.com/products/11231. Wanna see All Time Low for free? Just preorder the deluxe version of the new CD, Dirty Work, at Sound Garden & Sound Garden give you a wristband that will serve as your ticket to the performance, which will be held outside the store in the parking lot! THIS WILL BE HUGE AND SPACE IS LIMITED. GET YOUR WRISTBAND EARLY, GET TO THE SHOW EARLY. GO! GO! Paper + Plastick is excited to announce Farewell Continental’s highly anticipated debut ¡Hey, Hey Pioneers! is available now through the P+P webstore, iTunes, and Amazon. 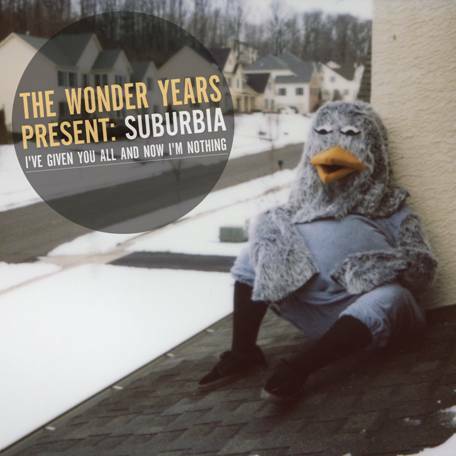 Before ordering the album through the P+P webstore and receiving an instant digital download, fans can stream the entire album at AOL Music: http://music.aol.com/new-releases-full-cds#/17. In support of the record, Farewell Continental kick off their first and only tour of the year tomorrow in Cleveland at The Grog Shop, wrapping in Chicago at Schubas on June 19. Temple, TX’s Everyone Dies In Utah has posted a new song titled “Bed, Bath and Beyonce” on MySpace and iTunes. Their new album Seeing Clearly comes out March 1st on Tragic Hero Records.